Happy New Year to ya. 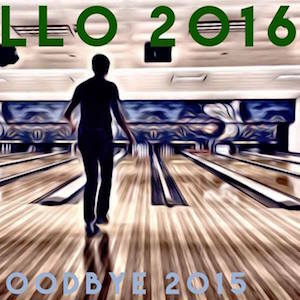 Its already time to say goodbye to 2015. In one way I’m wishing 2015 could keep going as its been a pretty good year. However, I’m already looking at 2016 as the launch pad for several great things to come. Via Twitter I was asked by Jodsters if I’ll be releasing more singles in 2016. The immediate answer is yes. I have several new singles lined up and in the can. So to speak. Currently working on the video ideas to get them fleshed out and ready to release along side each single. Along with that will be a better media presence. Gotta start stepping up the streams and plays for the newer music. There will be one more push with Touch. The next single coming for release is called “Thump Thump Thump”. A juicy rich groove of a song that as some Jodsters have said “Make you want to move your feet in a happy manner.” I’m sticking to that funky audio lap-dance for your ears type of thing. I got a killer gift for Christmas of a GoPro Hero4. Thus I will do my best to shoot more video and get it up on my YouTube channels and other social media. Should make it a lot easier to shoot, that’s for sure. The bonus is, I’ve recently met a couple of people and reconnected with some friends who do a lot of things behind the scenes with creating film/video. As I team up with them, it should lead to some really cool video output. Plus, I’ve been asked to put my greatest guitar lesson on video. In case you didn’t know, I used to teach guitar lessons. There’s one super important lesson that no other teacher on earth ever teaches. Though I’ve long wanted to start a guitar lessons website geared around great lessons on playing guitar – I haven’t yet gotten around to it. Thus I will make sure this highly valuable lesson gets shot, edited and put up on my YouTube channel for everyone to enjoy. Lucky you it won’t cost you $100/half-hour to get it. Already on January 1 I had some fans asking about my dog Dorian. Telling me they’d like to see more pics and video of him. Thus if you’re down to see more of my dog, go follow his twitter account @dorianthedog. The more feedback he gets, the more video and pics he’ll deliver. There are a few things that are happening with the older catalog. If things go right, it will mean a nice payoff that will help springboard the new singles and more. Unfortunately have to be like Apple on this and not say anything further. 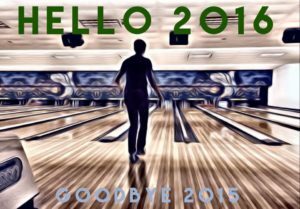 Goodbye 2015. You’ve been really good to me with delivering a network TV theme. Nightwatch on A&E if you have not yet seen the show. Here’s to 2016 bringing me 3 more this year – that’s the goal.